baby Ridley bump. : Picket Fence Baby Store Giveaway! 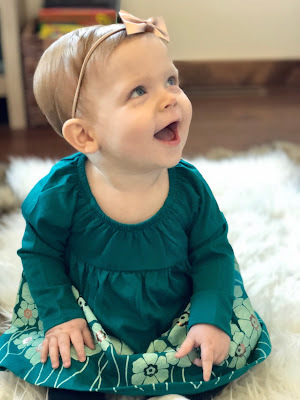 Georgia and I are so excited to be participating in another fun giveaway with an amazing online baby boutique! A few months ago we gave away a $50 store credit to one lucky winner to Picket Fence and we've decided to team up with them again to give away another $50 towards a purchase from their online shop! 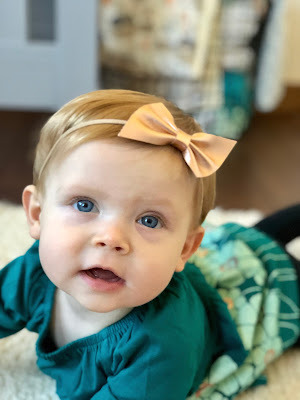 metallic bow from Little Poppy Co. 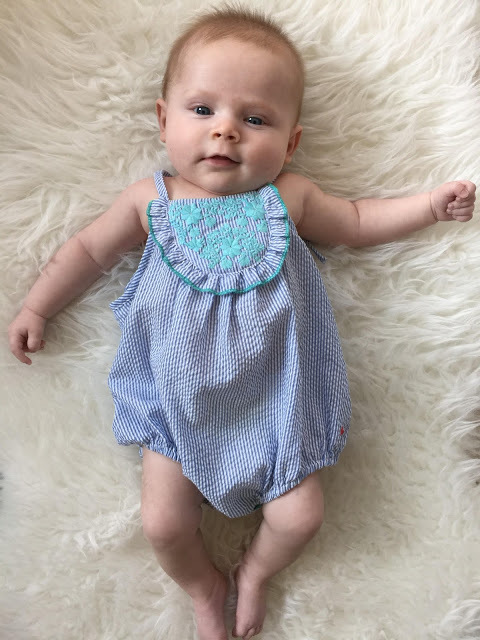 The first time around we went with an adorable little bubble romper, look how little my peanut was back in May! 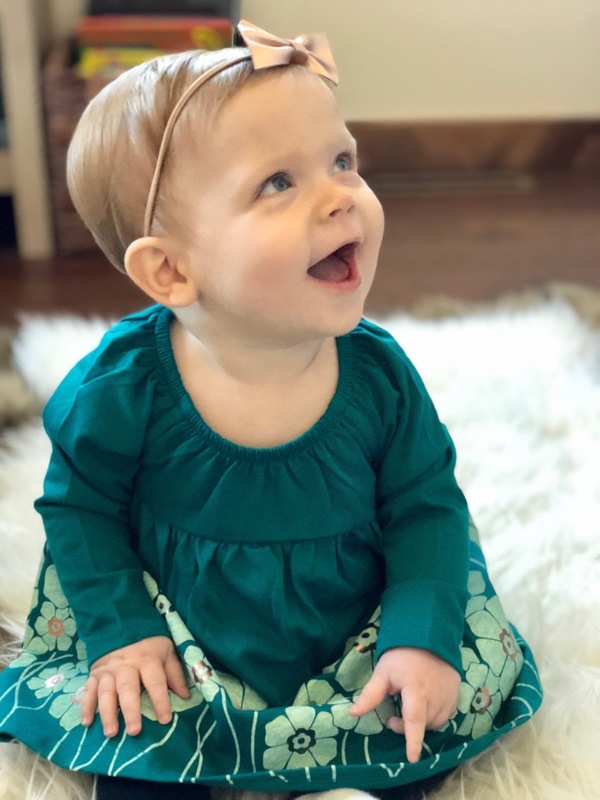 We looooved this romper, it was such an amazing quality and of course Georgia looked adorable in it! 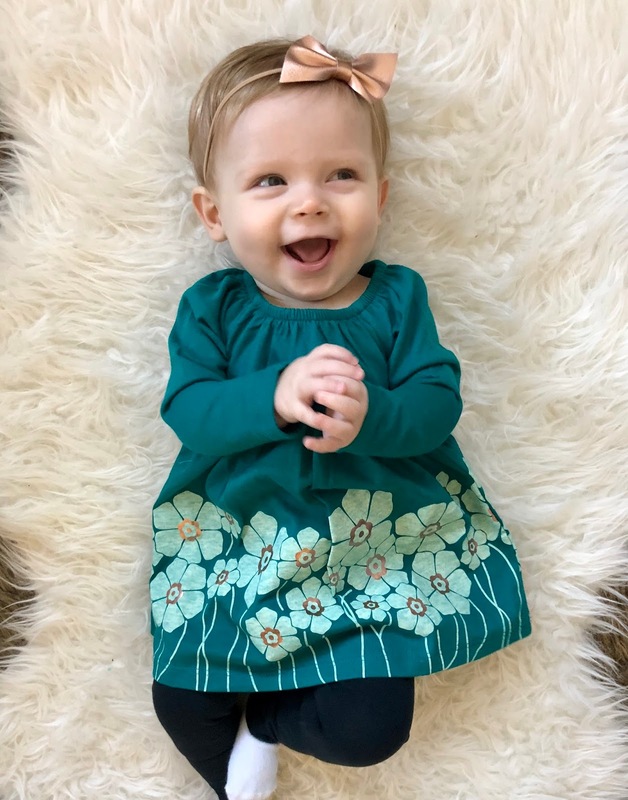 This time around we chose something from Tea Collection which is one of my favorite baby clothing lines. 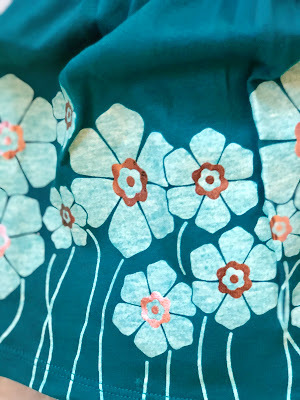 Their patterns and prints are adorable and once again, their quality is really where it's at. It holds up well and we always get tons of compliments when Georgia is in on of their pieces. 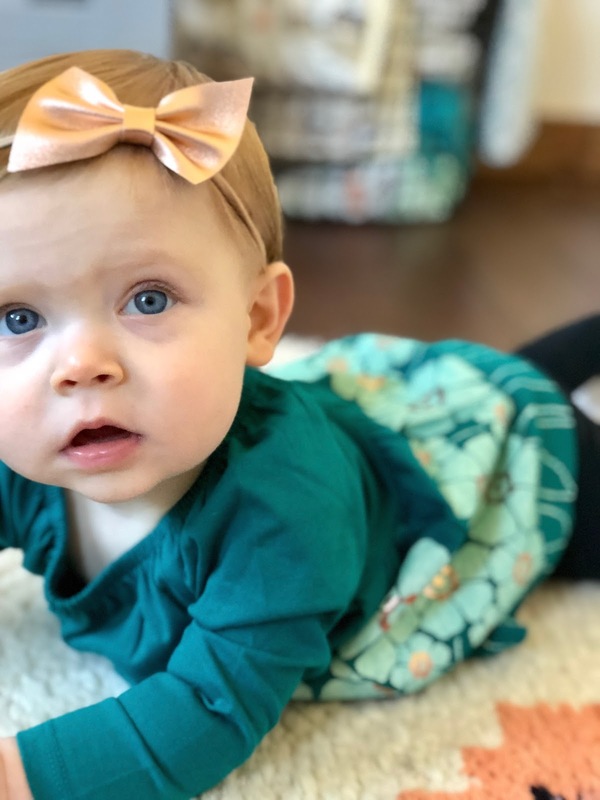 This dress is definitely in the running for Georgia's Thanksgiving outfit this year. I've been having so much fun shopping for her for all of her holiday outfits and Christmas presents. I have probably spent way more than I should or need to, but there is nothing more fun to me than buying baby clothes! Some of my other favorites from Picket Fence are this little pull over sweatshirt from Oh Baby, and this Unicorn Dream book and plush stuffed animal. Entering this giveaway is easy, a simple comment on this blog post is all you need! You can also follow me along on Instagram where I'll be sharing ways to gain additional entries. I love tea collection clothes!! Can’t believe how much Georgia has grown since May! I love both her little outfits! So sweet. Oh my goodness! This outfit and your lil Peach are just the cutest! I can’t wait to check out this shop for my twinsies!! She looks so cute in anything she wears! I just love her beautiful hair color too! You're very blessed! tea collection is my absolute favorite. i love it when it goes on sale. She is so cute!! We'd love to win! So sweet! That boutique has some cute items! Our girls are about the same age! Love her outfit! How cute!! She is always in the cutest clothes! Love that sweet girl and that dress is too cute!!! How adorable!! I am expecting a little girl in March! Thanks for the opportunity! I love their color combinations - for little girls feminine and unique and so pretty! The unicorn book and stuffed animal would be perfect for my unicorn-obsesses tiny child. Adorable, I love that teal flower dress!